Within the Expopower in Poznan, at the Innovative Energy Forum # EnergInn1.0, we presented two of our bench design lines. 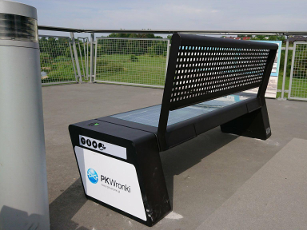 During the event, we had the pleasure of getting acquainted with Mirosław Wieczór – Mayor of Wronki, who fell in love with our benches at first sight. 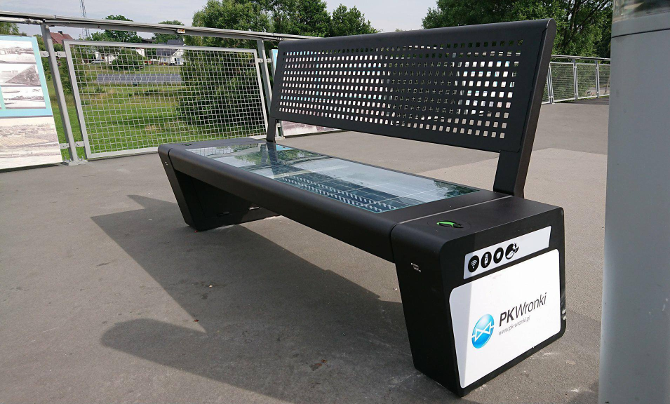 The Mayor ordered the SEEDiA City Classic bench in the variant with the public Internet service. From the beginning of its operation, the Przedsiębiorstwo Komunalne supports and promotes pro-ecological activities. 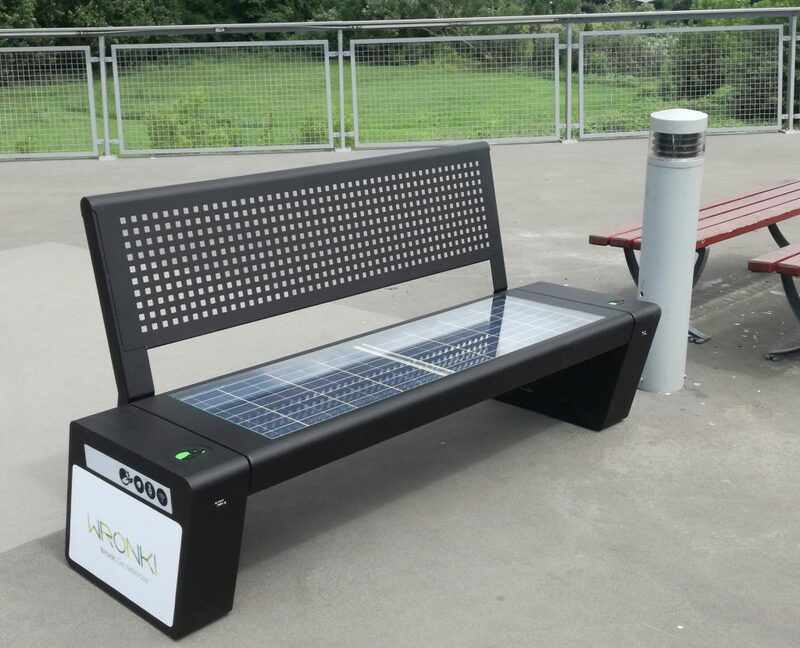 Our latest initiative is the installation of a solar bench on a footbridge. Solar panels are used to power it. Thanks to the accumulated energy, you can charge a telephone via USB – 24 hours a day. 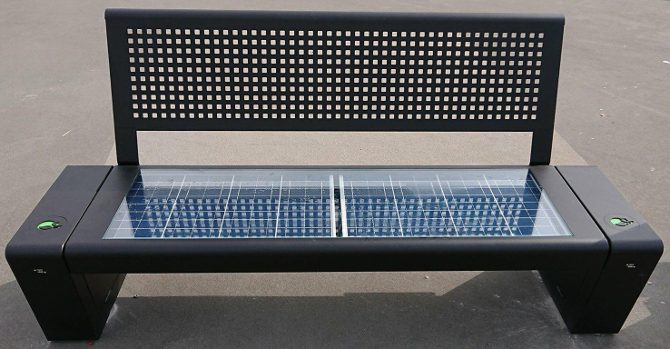 The power of the panels is 120 W and the battery capacity is 30 Ah. Working time without the Sun – 5 days. It is made of steel and tempered glass. 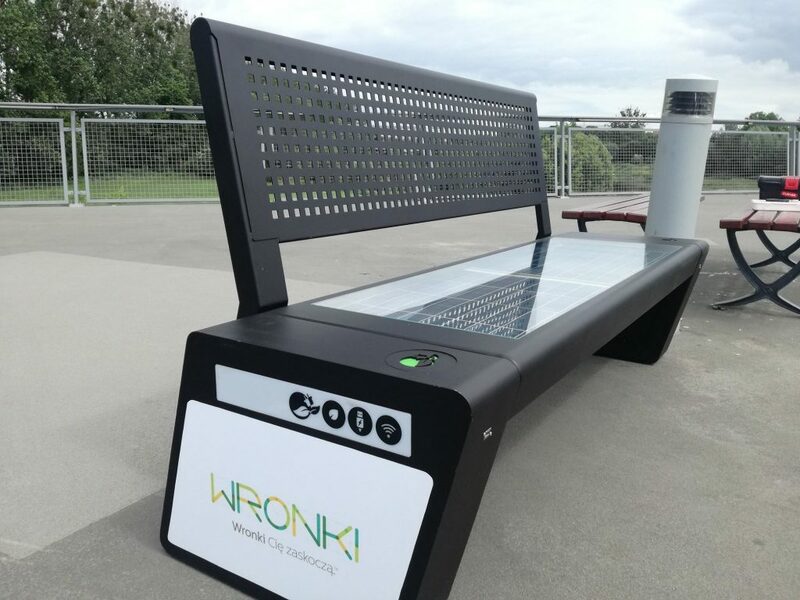 We hope that the bench will serve the residents of Wronki for a long time and tourists visiting our city.